A drunken woman flipped a table and launched a bar stool at a pub employee after accusing the man of stealing her phone. Jade Sutherland (30) also threw booze over the worker, whom she believed knew the whereabouts of her mobile. 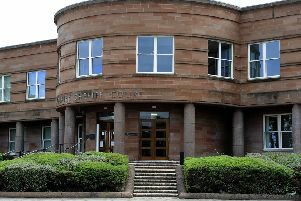 Appearing at Falkirk Sheriff Court last Thursday, Sutherland, 2 Woodburn Street, Falkirk, admitted assaulting the man in Cheerz, High Street, Falkirk, on December 14, 2018. The court heard Sutherland had originally blamed another person for taking her phone before asking the employee, whom she would later attack, to check CCTV. When told the footage wouldn’t be accessible until the next day, the red mist descended. 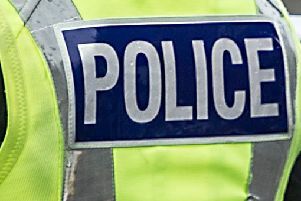 Procurator fiscal depute Kristina Kelly said: “The accused was very aggressive and started accusing the witness of stealing the phone and she was asked to leave. Sutherland then grabbed hold of the witness’ face and, as he tried to get away, she continued her pursuit, all of which was captured on CCTV. Ms Kelly added: “She picked up a bar stool and threw it at the witness. The court was told the bar worker was left with scratches to his neck and forehead but didn’t require medical treatment. Her defence solicitor told Sheriff Derek Livingston that Sutherland, who hasn’t found the mobile, had consumed alcohol and “is quite embarrassed by her behaviour”. Sheriff Livingston also heard Sutherland has issues with drugs and drink, is in full-time employment and undertaking college courses. She was ordered to complete 120 hours of unpaid work in eight months and must pay her victim £300 in compensation within that period.